I remember when I got my first serious 35mm SLR camera. It was a Zenit EM, carved from solid lead, and with an instruction booklet that had maybe 24 pages in total. From the booklet you learned about loading film, about settings, about taking a picture, about winding the film on a frame, and about all the natty accessories you could get to complement your camera. All so simple. Even the Olympus OM10 instruction booklet was slim and to the point. Let’s face it, analogue photography was a much simpler affair all round. Not that I don’t like my digital cameras. I wouldn’t go so far as to say I love them, but I really enjoy using them to make images. The immediacy of digital, I think, has made me happier to experiment and play. All the while the camera seems to be working as I want I feel comfortable. There is a nagging doubt, though, that there is something I have neglected, or accidentally switched on when it really would be better switched off. 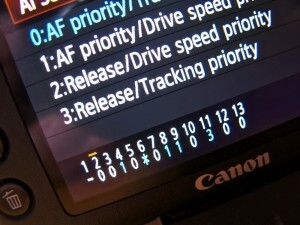 So, the time has come for me to reset everything back to the way it was when Canon shipped it out of their factory. Why am I apprehensive about doing this? I don’t know. Part of me worries, I think, that I might forget to switch back on a feature I use a lot. A larger part figures it is a Good Thing to start afresh occasionally. After all, I’m still discovering new things about the machine, and a reset may well let me learn something else new. You couldn’t say that about the Zenit or Olympus. Once you’d mastered the basics, you just got on with things. Digital cameras are a whole new species in comparison. Kodak has filed for bankruptcy in a bid to survive a liquidity crisis after years of falling sales related to the decline of its namesake film business as digital cameras have taken over the market. Eastman Kodak Co, the photographic film pioneer, which had tried to restructure to become a seller of consumer products like cameras, said it had also obtained a $950m, 18-month credit facility from Citigroup to keep it going. Awesome. Araf, by the way, means “slow” in Welsh. As I blogged before, I wanted to play with the antique large format cameras Best Beloved had acquired some time ago, and we had three rolls of 120 film sitting around waiting to be exposed. I got the large format negs back from the lab yesterday. It was a very quick turnaround. I had posted them from Medway, first class, to the lab in Burnley, Lancs. I had an email to confirm my order had been processed and despatched back to me around midday the next day, and they arrived in the post Friday. Barely 48 hours turnaround. I was impressed. If you’re interested, the lab in question is called Fuji Digital Imaging Service. I recommend them. I was, frankly, more than a little excited about the results I might see. The instant gratification one gets with digital photography isn’t quite the same as waiting to see if that brilliant shot actually came out or not! Once I’d opened the package, though, I was actually a little deflated. You see, the images I thought would come out best had been taken on the Zeiss-Ikon, and I expected the iffy ones to be from the Soho Reflex. Ironically the best images came from the cumbersome Soho, which had the broken shutter. The Zeiss images were uniformly out of focus. Not just a bit blurry, but consistently out of focus, regardless of aperture and shutter speed. More on this later. One film had multiple overlapped frames, which wasn’t that surprising. It was the first film I ran through the Zeiss, and I hadn’t got my head round how many turns on the cassette were needed to avoid the overlaps. The second film through the Zeiss was better. As you can see from the scanned images, the quality is quite good. Despite the cumbersome nature of using the Soho (taking the cassette blanking plate in and out, having to uncover the lens to make exposures manually and so on) the results are pretty good. Okay, the subject matter isn’t terribly inspiring, being random shots around our back yard, but you can at least make things out. Now, the Zeiss. I was particularly disappointed by the focus failure here, because I preferred using this camera. It’s smaller, lighter, has an operating shutter, and made for a generally more interesting experience. The fact all the images are blurred came as something of a shock. I thought I was at fault, and some discussion took place between Best Beloved and myself over why I hadn’t faffed about swapping the ground glass focussing screen in and out with the film cassette back. However, when you look at one image, taken with the camera sat on our front door step, you can see there is a plane of the image that is in focus. 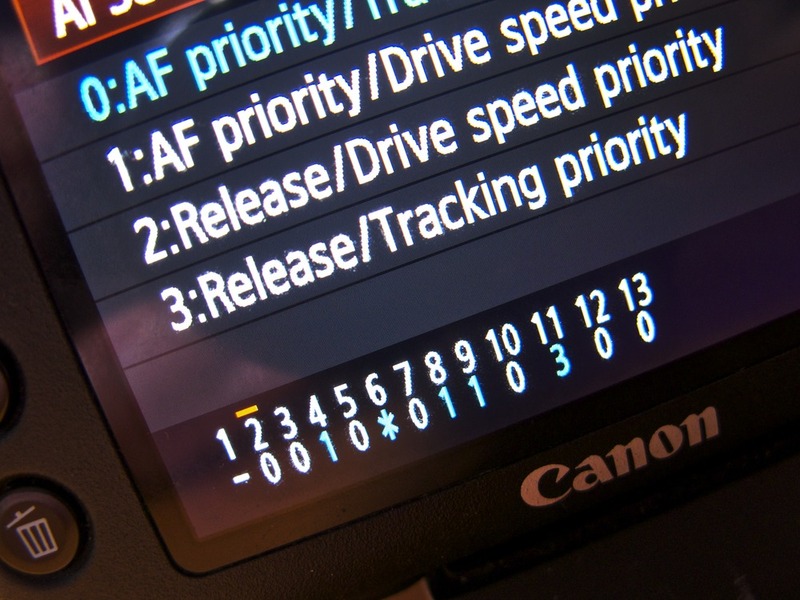 I interpret this to mean the camera has a fault where the lens is not seated properly—in fact, I remember the lens would rotate when I tried to adjust the various settings on the front of the camera. After the final roll had been exposed, I did indeed fit the focussing screen to the Zeiss, and played with it to see what the actual minimum focus depth could be, so I am pretty certain the focussing does work. Perhaps there’s a mismatch between the actual focal plane and the film back, although that would surely mean nothing at all would be focussed, where the section of front step is pin sharp in that one image. All of which isn’t to say the blurred images don’t have a certain charm to them. You can sort of make out what the photograph is about. That doesn’t mean I am not disappointed with the results, though. The very name Kodak is synonymous with all that is good about photography. It’s an irony that just as film is making a comeback with many photographers, the major firm in photography’s history – which made its first camera way back in 1888—is struggling. Kodak’s film has been used by every photographer worth his salt, or should that be silver, for more than 100 years. Those little yellow film boxes with the familiar red writing said you cared about your work, and in the case of Kodachrome were prepared to wait days while Kodak sent it to Paris to be processed. Photographers, a wily bunch, have seen this demise coming for a while and many have fridges full of “out of date” film that they ration. Funnily enough, I am finding an increasing interest in film photography again, possibly because of a ground swell of interest in the wider photography world where people are rediscovering the joys of analogue photos. I still have my Olympus 35mm SLR, and blogged recently about adventures with larger formats. I would like to take issue with Mr McCabe’s contention that Kodak failed to adapt to the digital revolution. Kodak invented digital photography. The first professional digital cameras were made by Kodak in the early 1990s, and almost every domestic digital camera was a Kodak until their competition caught up. Oddly, aside from the occasional roll of slide film, I was never a Kodak baby. I adopted Fuji as my main colour film, and Ilford as my black and white film. And then digital arrived in my life. If I do decide to get back into analogue photography, I suspect I will work in black and white almost exclusively—if only because it gives me an option to process my own film easily.